Yalambi’s Fiorenza first start at Swan River! Our new acquisition to the PPH barn, ‘Yalambi’s Fiorenza’ had his first start at Swan River (24th May) this weekend! Full of character and enthusiasm, ‘Fly’ literally flew around the little classes like a pro! Sponsors, Wyunga Grazing Co. purchased this lovely 5yr old, by Yalmbi’s Carpino Z, from Yalambi Farm Stud in April. Polly-Anne Huntington’s, Delemarie Alina was double clear with the fastest time in the 1.05m, but her rider jumped 1 too many fences and unfortunately got eliminated, but with a small field for the jump off they still finished in 4th place. Alina also jumped a great round in the 1.15m with just one pole down coming out of the combination. Here to Stay, jumped a lovely clear round in the 1.05m with Belinda aboard. ‘Jake’ thought it was a pretty easy day out, and was most pleased with his efforts. Belinda is looking forward to eventing jake when she returns from Melbourne. Wooroloo CNC held weekend of 16th-17th May was a WET one. Despite this ‘King’ of the PPH stables, Holy Bruce, started well in the CNC3* with a 45.00 in the dressage phase, which took them into the lead. Bruce got his mud-running boots out for the cross country and literally sailed around. All starters accumulated a little time, but it was similar across the board so the placing’s didn’t change too much leading into the show jumping. Unfortunately a very ‘boggy’ grass surface for the show jumping, had all horses working a little harder than they needed to in the 3* and faults were incurred by all. Unfortunately Bruce had an uncharacteristic 8 faults, in an otherwise good round, which put Belinda into 2nd place behind Tegan Luch and Tempus Fugit! Bell and Bruce leave for the east coast this week for Melbourne CCI3*!!! PPH had a lovely day jumping at our local WASJA on Saturday 9th! 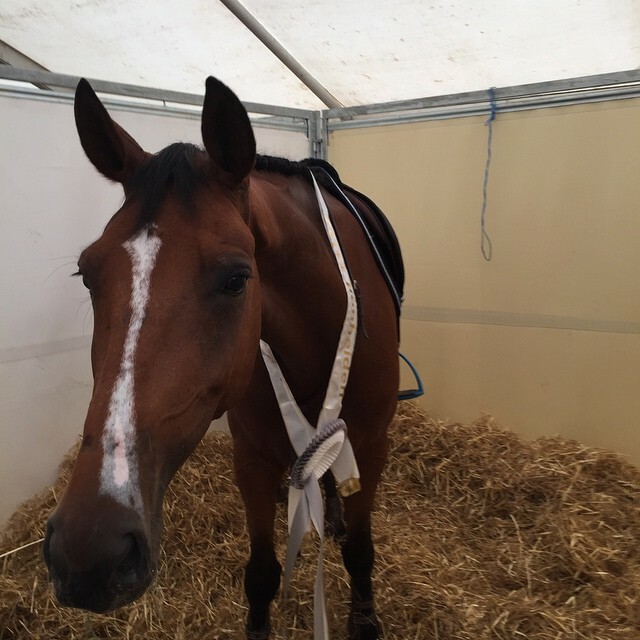 Belinda rode a lovely round on Here to Stay in the 1.05m, Belinda is looking forward to eventing this quality young horse after she returns from Melbourne in June! Polly-Anne Huntington’s mare, Delemarie Alina, jumped a lovely double clear with Sarah aboard, in the 1.05m for 3rd place! Sarah also took the ride on Emma’s lovely, Diamond B Catapulte, while Emma was busy with exam study……’Possum’ was on form jumping clear in both the 1.05m and 1.15m. A speedy jump-off in the 1.15m placed them 3rd! Beezie cracked an incredible 3rd place amongst 72 top rider/horse combinations in Saturday’s Longines Ranking Grand Prix Qualifier at Bonheiden CSI** (Belgium) on the 9th May! She jumped a super clear round over the very technical 1.45m track, joining only five other combinations for the 1.50m jump off! She jumped a fast clear, finishing just 0.08 seconds behind Bertram Allen’s High Valley and 0.83 seconds from winner Pedro Veniss riding Anaya Ste Hermelle! PPH are so thrilled with Jamie Kermond’s growing partnership with this mare, achieving notable international results after only being together for 3 months! 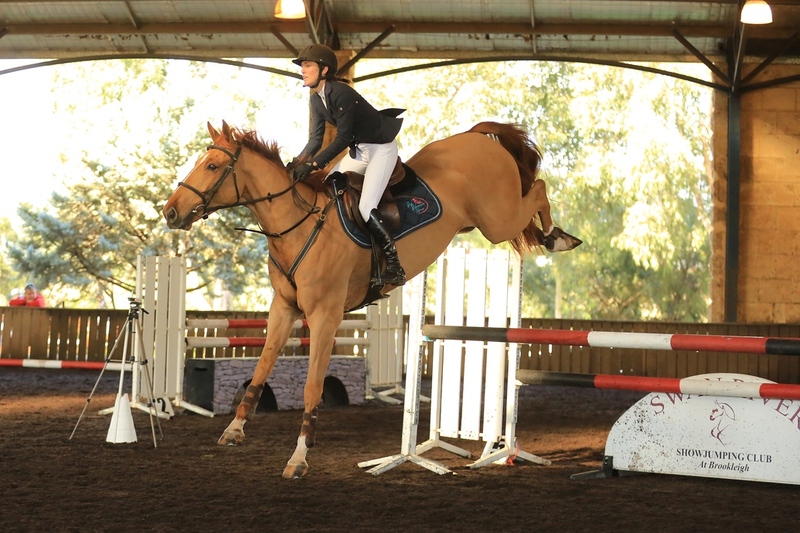 Bell & Bruce were very happy with their consistent performance at Moora CNC** over the weekend – 2nd & 3rd May! They had a nicely polished dressage test to start, which scored a 47.08, a smooth clear run cross-country followed by a clear show jumping! A little bit of time accumulated on the cross-country, as Belinda is looking to keep Bruce fresh for Wooraloo CNC*** in two weeks time, but Moora provided a great opportunity to practice all three phases! The pair are aiming to travel across for Melbourne CCI*** in a months time! Belinda was particularly thrilled with her students, Isabelle McLachlan & Mark Kendall who placed 1st and 5th in the Junior Pre-Novice! Isabelle was clear across the board riding A R Renaissance, finishing on her dressage score of 53.10! Mark gave his New Zealand gelding, Shine a Light aka ‘Humpty’, a wonderful ride, in his first ever start at this level. Humpty was a true gentleman, looking after Mark on the cross country and pulling out a top performance all round! Go Mark and Humpty!! In the Introductory Two class, student Chelsea Lamb had a great weekend out riding her lovely young horse, Clear Distinction! Chelsea rode two lovely clear rounds in the cross-country and show jumping. A little time was accumulated on the cross-country as Chelsea took it steady with her young horse. PPH are excited to continue working with Chelsea to produce this quality horse! Beezie got to mix it up with some of the best at Hagen CSI**** (Germany) on weekend of 23rd – 26th April! She jumped a classy round with Jamie aboard in the 1.40m speed class, giving every fence plenty of air ready for the bigger classes to follow. The pair placed 9th out of a strong field of 78, only just over 1 second time from second place getter Santiago Lambre! Beezie stepped up to jump in the 1.50m Big Tour Qualifier on the Friday jumping a pleasing round, but unfortunately brushing a tall red plank down in the technical Longines Ranking class. Again Sunday’s Medium Tour Grand Prix (1.50m) was not to be a winning day, with a curving 5 or 6 stride line proving to be just too long in the 5, which had Beezie stretching for the back rail of the oxer into the combination. But she cleverly jumped out clean and overall she looked brilliant. PPH are thrilled with how Beezie is handling these technical GP tracks at top international 3* & 4* competitions. Jamie Kermond is giving her a fabulous ride and we can’t wait for her next show!